We are fresh off of our first ever CES – not only were we in attendance, but also there with press/media credentials, so we had some extra access to the overall conference. That was nice, but there were still PROS and CONS of attending, quite frankly, the largest conference I’ve ever seen ! I’ve compiled the following list and have seen from some of my blogger colleagues, that these tips/lessons learned are right in line with what the majority of attendees experienced. 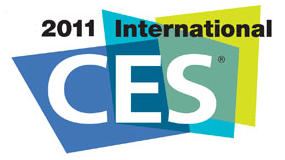 In no real order, here are our top 10 lessons learned from attending CES 2011. Dress warm. It was freezing in the Vegas desert. Layered clothing was the only way to step outside. Budget appropriately for taxi far – on average, it was around 8-12 dollars per ride back and forth to different functions. There are shuttles between the CES venues, but be prepared to pay for the rides to all of the evening parties. Wear comfortable shoes. Just do it !! For press primarily, plan to arrive at your press briefing location at least 30 minutes in advance. There was a bit of pushing and shoving as folks were trying to get in for seating at some of the larger sessions; so getting to your location early is key. Don’t carry, or bring a lot of unnecessary gear – consider a rolling bag instead of one with an arm/shoulder strap (especially if you’ll be lugging around a camera and a laptop). The press shoulder bag they gave us broke on me (weighed down with too much crap). For video recording/blogging – don’t use the camera in a smartphone. If you want decent quality, use a dedicated video camera. I’m seriously considering the Sony Bloggie – wonder if I can get some Sony sponsorship on that ?! Download the official CES app and use it religiously – it’s constantly updated with news, and session information. Bring a ton of business cards. I’ll be ready next year ! Next article19 Year Old Wins $12,000 for Political Rap!